Lectors proclaim God's word at Mass. Training is offered. Lectors are called to be dedicated to the Holy Scriptures in their daily life. One can lector at Sunday Masses, daily Masses, or both. Extraordinary Ministers of Holy Communion help distribute the precious Body and Blood of Jesus at Mass. Training is offered. EMHC's are expected to cultivate a special devotion to the Presence of Jesus in the Blessed Sacrament. They can serve at Sunday Masses, daily Masses, or both. There is also need for certain EMHC's to bring Holy Communion to the homebound. 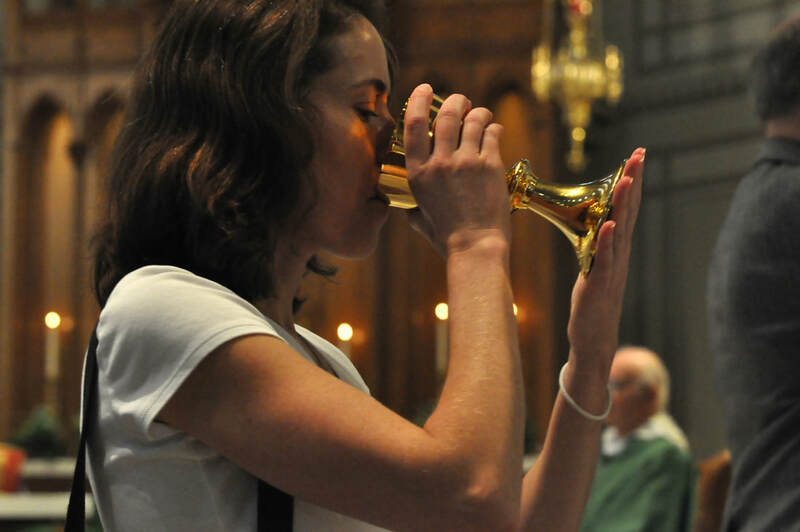 Servers at Mass, or Acolytes, assist the priest in the Sanctuary through carrying the Cross, Candles, or Thurible with Incense, and with setting up the Altar. Training is offered. One can serve at Sunday Masses, daily Masses, or both. Music ministers lead the congregation in glorifying God in song, through singing or playing an instrument. One can join in with the 10:30am traditional Mass choir, the 5pm Sunday Contemporary Ensemble, or being a Cantor for Masses.